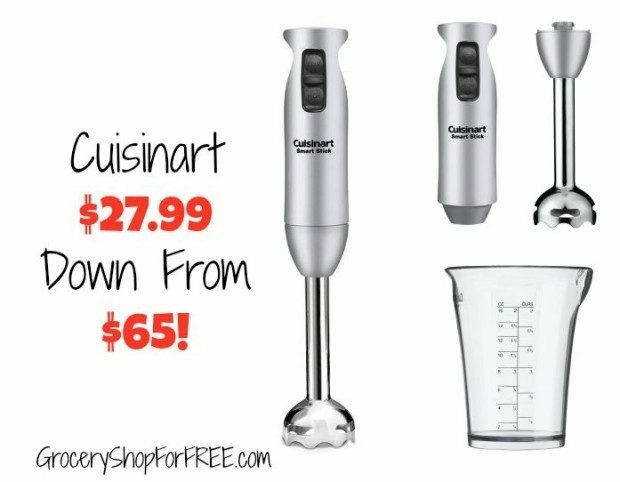 Cuisinart Immersion Blender Just $27.99! Down From $65! You are here: Home / Great Deals / Amazon Deals / Cuisinart Immersion Blender Just $27.99! Down From $65! You can get this Cuisinart 2-Speed Immersion Blender for just $27.99! Down from $65! This is a great deal – I use my immersion blender ALL the time! I use it to make my quick & easy homemade mayo, Ranch dressing, all sorts of mixturesm it is so simple to use and the clean up is so easy, too!